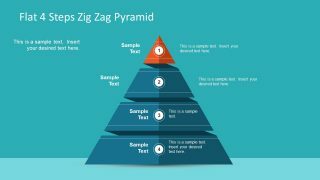 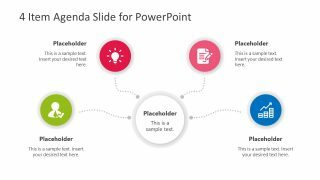 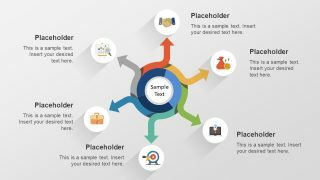 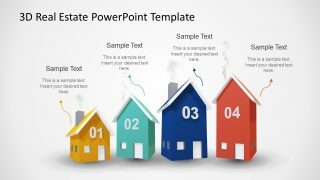 Blue 4 Components Wheel Diagrams for PowerPoint is a presentation design with quadrants and four text boxes with central text area that you can use for different purposes. 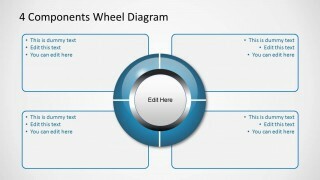 This PPT template with wheel diagram for PowerPoint can be used as a SWOT template so you can describe the Strengths, Opportunities, Threats and Weaknesses using PowerPoint. The wheel diagram for PowerPoint with 4 components has a blue style but you can easily replace the colors and shape styles using shape effects.